With temperatures nudging 100 degrees today, I feel summer in full swing. 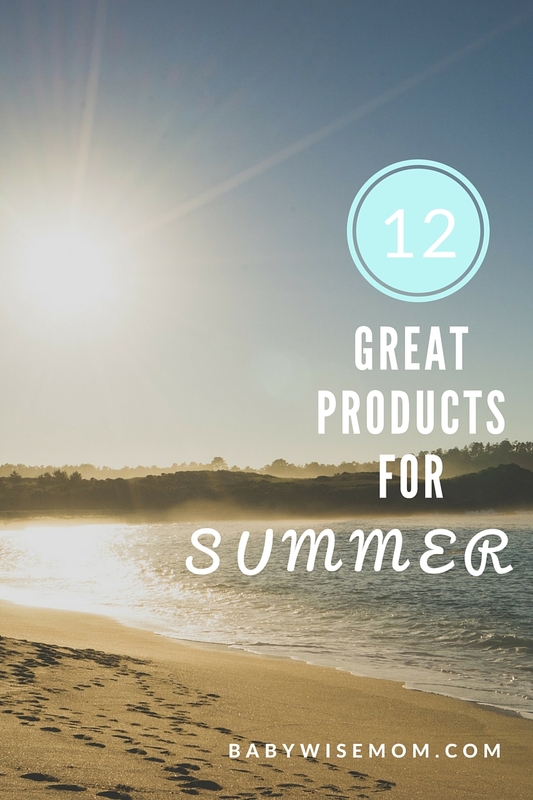 What products are great for summer? Here are some of my favorites. There should be something for everyone here! This post contains affiliate links. I don’t know if I could love the sandbox toys from Melissa and Doug anymore. They are so fantastic. They have fun food sets for sandboxes, which is so fun for the kids. My kids love to play “Chopped” with these various toys. We have the Ice Cream set, the Baking set, and the Cupcake set. For years I had purchased just cheap sandbox toys, but a few years ago I started to get the more expensive and yet nicer toys from Melissa and Doug. It is very worth it! They last much longer, which means you spend less money over the years. For years, we have spent time at our neighbor’s property on Bear Lake where they have kayaks. The kayak has always been Brayden’s favorite thing to do there. So this year, we got him a kayak for his birthday. He loves it. A whole lot. If you have close enough access to water, this is a very fun thing to own (but you will also want space to store it! If you don’t, you might want to go for an inflatable kayak). I super love having a rashguard for my kids when playing outside in the water. That skin on the shoulders and back can be so sensitive and obviously doesn’t see sun as regularly and is more prone to burning. 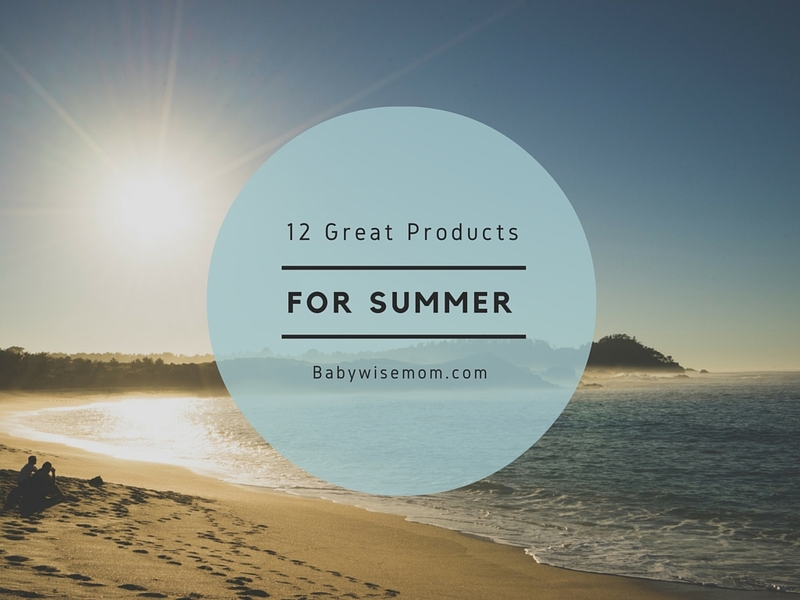 I love not worrying about that sensitive skin when we are out in the sun all day. Speedo is a great brand for longevity, which I always care about when buying girl stuff since I can ideally use it through three girls. I got this one for Kaitlyn and she is loving it. It is cute (and comes in multiple base colors) and of course good quality. I don’t want the rashguard without the boardshort. Again, I went with Speedo since I have grown to trust it for swimwear for our swimming gear. These are great shorts and even have pockets, which we girls know is a rare treat in female products! This is the swimsuit Kaitlyn is using right now. Oh I love it! It is cute! It is nice and also very modest. It comes in several color options and even some different style options. I got a different kind for McKenna and regret it. It is very low cut in the front. This one, I would get again and again. For smaller girls, you can find rash guard sets easily and for decent prices. I got this set for Brinley. When she got it, she said, “I always wanted one exactly like this!” haha! I loved it when we were at the pool because I could easily see her among the many children in the kiddie pool. The coral basically glowed. I highly recommend bright suits or bright features so you can easily distinguish your kiddos from the rest. This one is for you. I accidentally came across this Fitbit Cover one day while purusing Amazon. I have long wanted something with my Fitbit to add some cuteness to it. I was wearing mine one day and a waitress asked me where I got it and commented that now she wanted a Fitbit just to get a cute cover! Ha! She told me she had wanted a Fitbit, but didn’t like how it wasn’t cute. There are a lot of options out there, so you can find something that strikes your fancy. This is great for summer because you have short sleeves going on. You can make the fitbit look like a cute accessory rather than a utility on your wrist. For summer, I wanted a light purse I could stash what we needed when I was taking the kids out and about. I loved the idea of a crossbody bag. That would leave my arms free. This bag is plenty large for my needs. The other night when Kaitlyn and I went to the rodeo, we had both of our jackets among other things in the bag. It also has a small little pocket that can fit some chapstick or keys in, which is nice since if it is full, digging for keys is no fun. I love that it is less than $7.00 because this isn’t something I am looking to be my long-term, forever purse. This is my take the kids out without a diaper bag (yay!) purse. When my husband and I got married, we were given some really nice camping chairs as a wedding gift. We have used those same chairs for 12 years. And we used them for real. They went camping, in our backyard around the fire, and to countless soccer games. They were haggard. It really had gotten to the point where it was embarrassing to sit in them. It was probably well beyond that point. So I decided to bite the bullet and buy new chairs. I had big hesitations. I liked our good quality chairs and haven’t been able to find any like them in stores. I have noticed the quality of these chairs steadily declining. You can buy one for $5, but you will buy one again in a year because it will be broken. So after much research and literally pondering on it for a year (guys, I take buying stuff seriously! ), I went with these Coleman Quad Chairs. And I love them! They are very well made. I love that there is a drink holder (a must). I also like the cooler pocket. I have yet to use it as it is intended, but it makes a fantastic garbage. You know how moms are the automatic garbage can? Well, when the kids bring me their garbage, I can just put it in that zippered pocket and take care of it at home. Heaven on Earth. This hammock has become the number one favorite reading spot for the kids this summer. I went with this one because it can go anywhere, which means I don’t need two trees big enough and close enough together for it. We all love it. There are different fabric types for this hammock, so if you decide to get one, be sure to read about the different kinds. I went with the sunbrella because it is supposed to stand up to sun and weather the best. This is my number one tip for driving long distances with children in the car. Last summer, we drove 10 hours each way to Colorado. We listened to the first Harry Potter book as we went. It took the entire drive there and back as well as driving while on vacation. But all of the children loved it, including Brinley who was two at the time. My husband loved having something interesting to listen to as the driver (he likes music, but not enough to love just music for the whole drive. Kind of crazy). Kaitlyn, who had previously been nervous about reading such a long book, came home and read the next three books in about a week. This summer, we will do the second Harry Potter book for our long road trip drive. My husband likes to do projects around the house, and when working around the house, a good pair of gloves is super handy. Nate loves these gloves so much that we purchase them again every time they wear out (which happens in a reasonable time frame) and we have given them to our dads for gifts. We got a pair for Brayden and I to share for working on the home addition we are doing…because, guys, my oldest child and I wear the same size of gloves. That’s crazy.